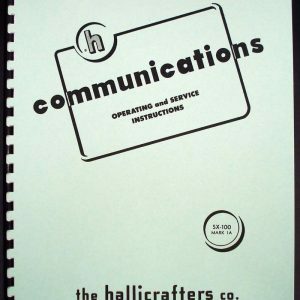 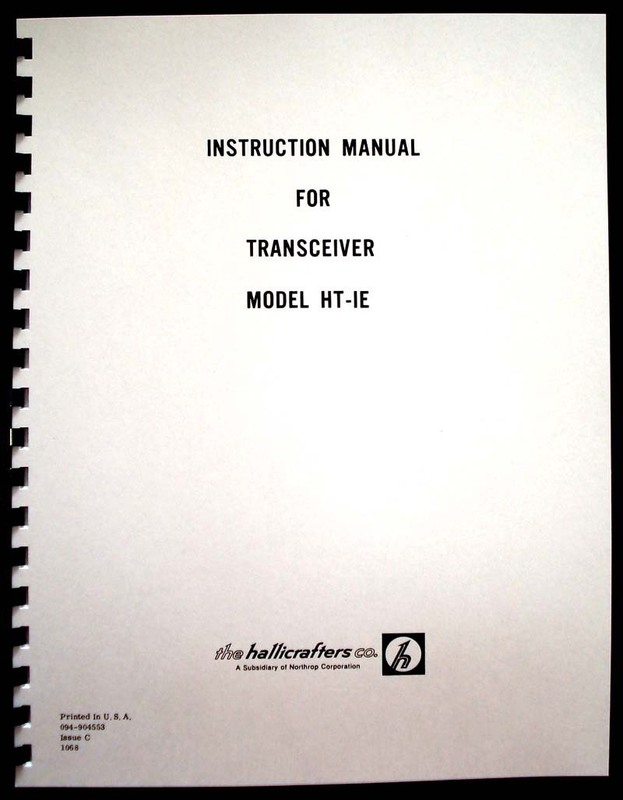 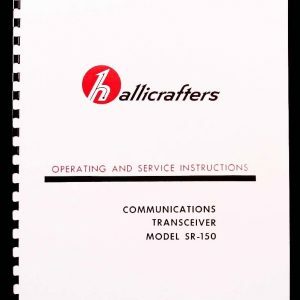 For sale is reprint of Hallicrafters HT-1E “Village Radio” Transceiver Manual. 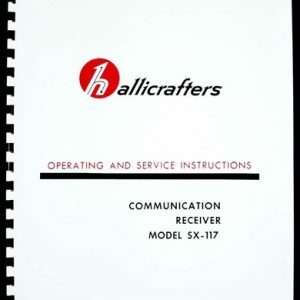 Manual is 27 pages long and includes 11×17 foldout with circuit digram, Dated 10/1968 Issue C.
Hallicrafters HT-1E works on one crystal controlled channel in 30-40 MHz band. 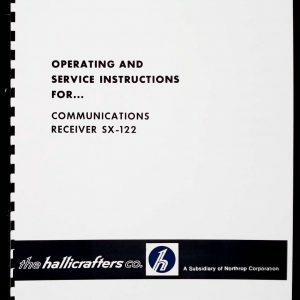 Sections include: Introduction, Specifications, Installation and Adjustment, Operation, Preventive Maintenance, Part List.